The year 1492 marked more than Columbus’ departure from Spain to the New World. It was also the year of the fall of Granada, marking the end of Muslim rule in Iberia. And 1492 was the year the Jews were expelled from Spain and the onset of the Diaspora, a great migration of Jewish artists with their crafts and instruments leaving Spain for refuge in Italy, France, the low countries, and England. The ledgers of Henry VIII list Jewish musicians of Spanish descent who enriched the musical life at his court. Early viols, based on those of Spain, were ordered to be built for the court of Mantua by Isabella d'Este. It is against this rich cultural heritage that Ensemble Soleil presents "Crosscurrents between Spain and Italy at the dawn of the Renaissance". Mozart piano quartet K.478, Abel piano trios, Haydn Scottish songs and Mozart concert aria. Featuring special guests Elizabeth Metcalfe, fortepiano, and Jill Hallett Levis, soprano with Jean Twombly, classical violin and Peter Tourin, classical cello. Extravagant music from the courts of Saxony and Austria by Schmelzer, Biber, Scheidt, Nicolai, Pachelbel, and Telemann. Violinists Giomar Turgeon, Kevin Bushee, and Jean Twombly. 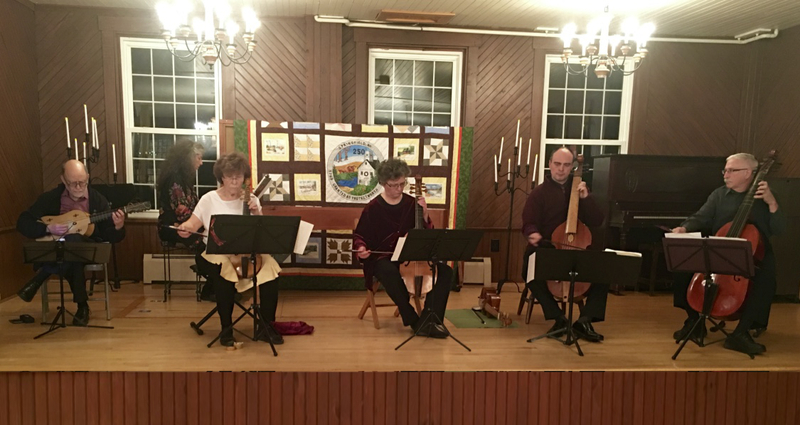 Viol performers Hannah Davidson, Rosalind Brooks-Stowe and Peter Tourin, with harpsichordist Margaret Angelini. Some of the earliest music in America was composed for the 18th century Moravian communities in Carolina and Pennsylvania. American Moravian composers like John Antes and Johann Friedrich Peter admired and emulated the music of Haydn and his contemporaries and music for voices, strings and organ, was often created by choirmasters and clergy for festive occasions. This concert includes seldom-performed manuscripts from the Moravian archive in Herrnhut, Saxony, east of Dresden, Germany. Music for a consort of viols composed with intent to intrigue and amaze, from musical puzzles, to the beautiful consorts of Byrd and Lawes from the Restoration and the generation before in England. 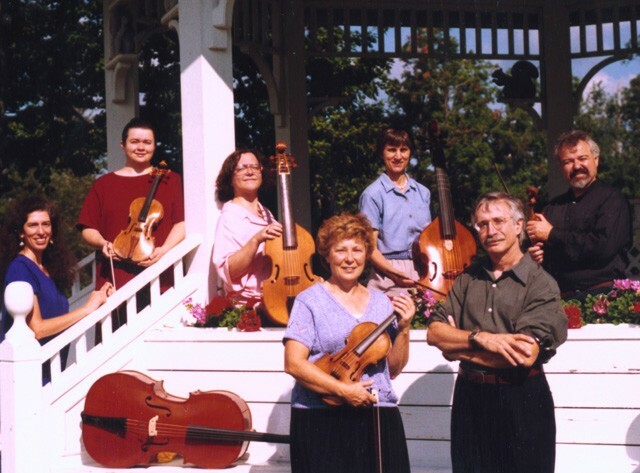 Ensemble Soleil hosts special guest Lawrence Lipnik, countertenor and viol. The musical salons of late 18th century Austria hosted the great composers and virtuosi of the age, Haydn, violist Abel and guitarist Giuliani. With guest artists Judith Davidoff, baryton, Peter Bloom, traverso, and ensemble member, Peter Lehman, guitar.